Spill Kit Covers from Absorb Environmental Solutions take a defensive/offensive approach to Spill Control. Previously Spill Kits served the double duties of emergency response and provision of absorbents for day-to-day maintenance type spills. This causes problems as the Emergency Response kit must be full at all times to handle emergencies. In other words, an emergency resource shouldn’t be used for other purposes. 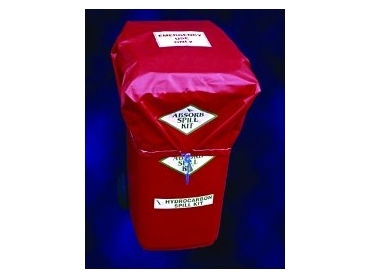 The PVC Spill Kit Cover effectively seals the kit and ensures that it is always ready for an emergency.